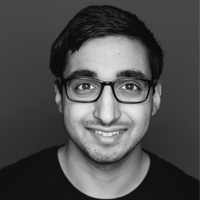 Kyle Vaidyanathan is a software engineer at Unity Labs, working on XR prototypes and authoring tools, including EditorXR. His goal is to help game developers create native content for XR so he can justify spending tons of money on cool hardware. In the past, he studied computer science for games at USC and interned at JPL prototyping interactions for the Hololens. Outside of XR, he spends his time making tools in the Unity editor, teaching himself about animation and procedural art, and getting carried by his friends in competitive video games.